The plight of captured Blaine County soldier Sgt. 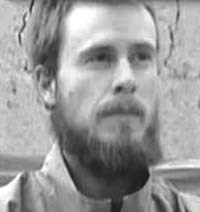 Bowe Bergdahl has not been forgotten by John Brennan, the nominee for director of the Central Intelligence Agency. While facing a Senate confirmation hearing Thursday, Brennan wore a yellow bracelet commemorating the date of Bergdahl’s capture in Afghanistan on June 30, 2009. Brennan’s expected confirmation was halted Thursday for at least two weeks, pending release from the White House of classified memos to a Senate Intelligence Committee about the use of drone strikes, and information about a breakdown in security that led last year to deaths at the American Embassy in Benghazi, Lybia. The Washington Post reported Thursday that in an interview last summer, and at his public confirmation hearing last week, Brennan said the United States should publicly acknowledge deadly drone strikes. “He has also said he believes that lethal action should be undertaken by the military, rather than the CIA, which has carried out hundreds of drone strikes, most of them in Pakistan but also in Yemen,” the Post stated. Bergdahl went missing from a U.S. Army base in the Paktika province of Afghanistan and was reported “missing captured” three days later. An interview by Bowe’s father, Wood River Valley resident Robert Bergdhal, in Rolling Stone magazine last year, indicated that his son may have walked off his post for ethical reasons.